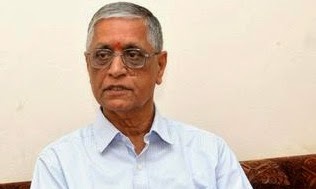 Yellapragada Sudershan Rao, new chairman of the Indian Council of Historical Research (ICHR), is all set to trigger in a new period of what he calls “real history”, proudly claiming that he has no qualms in declaring his appointment is “political.” Involved in a project to “fix” the date of Mahabharata war, Rao has said, “The Ramayana and the Mahabharata are true accounts of the periods in which they were written”, contesting historians DD Kosambi and Romila Thapar who have seen them only as great epics having different versions added to them for over 1,000 years. To him, they are “myths from a western perspective” alone. Questioning those who say he is a political appointee, Rao says, to question his new posting “is to question democracy itself” because he has been elected by a democratically elected government. “Unlike other social institutes, the ICHR attracts a lot of attention because history is an important subject. But history belongs to the people. We have not shown or written a comprehensive history of India to the people of India. History is by the people, for the people and of the people”, he declares.